Xiaobin Yang. The Chinese Postmodern: Trauma and Irony in Chinese Avant-Garde Fictiont. Ann Arbor: University of Michigan Press, 2002. What is the Chinese postmodern? 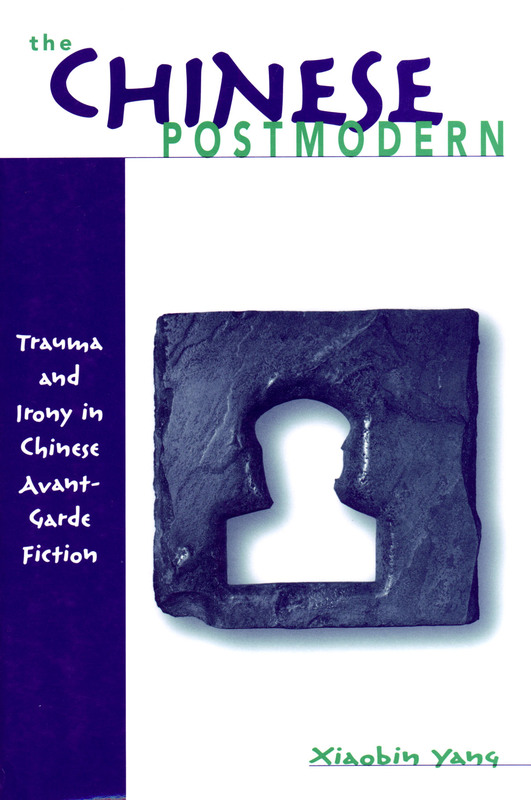 If a primary goal of postmodernist fiction, as Xiaobin Yang (via Lyotard) claims, is to dismantle the overarching discourse of modernism, then we also must ask what passes for modernism in the Chinese literary context. This second question addresses one of the more intriguing yet muddy debates of the field, in which modernism in China can be the relatively short-lived formal and self-proclaimed xiandai pai texts of the 1930s produced by writers such as Shi Zhecun, Liu Na’ou, Mu Shiying, and others; it can be the “realist” writing of May Fourth authors Lu Xun, Ba Jin, Mao Dun, Ding Ling etc. ; or it can be the entire tradition of revolutionary writing that in one form or another spanned the century and includes Ding Ling’s later work, writing by Zhao Shuli and Hao Ran, as well as the yangban xi (model theater) of the Cultural Revolution..
For Xiaobin Yang, however, only one issue will help us determine what is modernist in Chinese literature. This is the paradigm of modernity that is consistent across modern cultures and forms the basis of modern thought: the “unified concern for an ultimate, absolute subjectivity” and belief in a teleological history (23). What Yang means by subjectivity is not the lyrical sense of an individual that is indicated in a concept such as personality, but rather the embodiment of national, historical progress within a character’s behavior and consciousness, whether clearly articulated or merely implied. Whether categorized as realist, socialist-realist, revolutionary, or romantic-revolutionary (but not xiandai pai), modern Chinese literature was driven by the idea of modernization or progress, and expressed through the absolute national and historical subject. Let’s first take a look at Yang’s argument as it concerns May Fourth fiction. Many critics of realist fiction have noted that rather than representing reality – an impossible task – authors inject meaning into reality, and Yang finds such is the case in early twentieth-century Chinese literature as well. Meaning is especially apparent in the oft-noted subjective tendency of May Fourth fiction, which becomes open to manipulation through the replacement of mimesis (showing) by diegesis (telling). By intervening directly to tell the reader what to think, the author captures narrative authority; the use of a seriously flawed character to represent the historical subject also promotes the strategy of the author, who by contrast appears (invisibly) powerful and in control. Drawing on work by Marston Anderson and Theodore Huters, Yang thus describes May Fourth literature as ultimately based on narrative omniscience, and thereby projecting the absolute subjectivity he seeks at the basis of a modern vision. Within Yang’s organization, this is where literary modernity begins. A central idea of literary deconstruction (and developed in Anderson’s book) also is important here: realist texts contain the knowledge that they don’t work, or at least the hint of a contradiction between truthful representation of reality and the grand project they seek to promote. The best representation of this tendency toward self-contradiction, Yang believes, is Lu Xun’s madman, who contains and expresses the reading of modernity as paranoia later exposed by the experimental writers of the late 1980s. Yang finds that literature of the Communist era further developed the modernist paradigm, showing the conscious historical subject acting on behalf of clear national goals to the point that this literature eventually became the ultimate in representing such subjectivity. Although Yang criticizes Wu Xiaoming’s claim that the Cultural Revolution is not the antithesis but rather the culmination of the May 4th movement as a bit overstated (30), he links the two periods together through a consistent and overarching theoretical core: both are founded on the absolute belief in the emancipated human subject and the teleology of history. After the death of Mao, the paradigm does not simply disappear, but is maintained in the works of writers such as Liu Binyan or Wang Ruowang, although moments of true pluralism or inconsistency also are evident, according to Yang. Scar literature and root-seeking literature, which appeared from 1978 to 1985, challenged some political and cultural discourses but still maintained faith in the historical subject. Only the experimental writers fully shattered such faith, casting doubts on history, narrative determinacy and wholeness, the notion of progress, the subjective voice and integrated subjectivity itself, and representability. Because they dismantled the discursive and philosophical myths of modern China – which in turn had sanctified political totalitarianism – the experimental writers mark the first total break in a century-long practice of literary modernity. They are, therefore, Chinese postmodernists. The fact that the style of Chinese experimentalists’ writing is similar to that of the western modernists is irrelevant, Yang argues, since within the Chinese context they deconstruct the modernist paradigm, just as western postmodern writers do within the western context (247, n.3). Yang’s discussion of experimental writers is divided into four parts, the first emphasizing trauma and the psychic/historical past, the second irony and schizophrenia, the third irony and deconstruction, the fourth the nature of the postmodern. Writers Yang discusses include Can Xue, Ma Yuan, Ge Fei, Yu Hua, Mo Yan, and Xu Xiaohe, organized variously under the four headings (and sometimes under more than one). With detailed textual work in primary and secondary sources, Yang does an excellent job of showing us how each writer took on the modern paradigm and piece by piece dismantled it, overall illustrating the impossibility of reality and the insufficiency of the omniscient subject. However, although the literary analysis in the body of the book reflects strong research and contains many insightful interpretations, Yang’s project is so ambitiously comprehensive that his analysis sometimes seems to leap from text to text and writer to writer. The organization under themes does not alleviate that jumpiness as the reader is forced to consider the same writer within different categories. Although an organization by writer may seem stodgy by comparison, it would have been preferable to this fragmented form, where Yang almost reproduces in his scholarship the contradiction between a unified subjectivity and discordant elements that the experimental writers exploit. I will briefly introduce some of Yang’s main points as they concern large themes and individual writers, although it will be impossible to reproduce the breadth of his readings. In Part I, “Trauma, Nachträglichkeit, and the Unrepresentable,” Yang identifies the Chinese postmodern with a new consciousness of trauma. He places Yu Hua and Can Xue together because he believes they both use postmodernist strategies to represent a psychic trauma so intense that it cannot be directly represented. Yu Hua’s violent tales of murder, cannibalism, and dismemberment not only tear at the socioethical fabric of relationships, but also develop a strangely lyrical language that seems inadequate to represent this violence. Can Xue, with her characters’ bodily swelling and splintering of bones, opens the reader to multiple voices whose stories, nonetheless, are unclear and perplexing. In Part II, “Irony as Verbal Catachresis: Schizophrenia in the Master Discourse,” Yang moves toward a focus on discourse, arguing that irony exists as a “rereading of the Maoist discourse” within the work of the experimentalists (107). In 1985, Xu Xiaohe began writing a series about madmen, and Yang connects this relatively plotless series directly to the Cultural Revolution, where political life demanded activities similar to those of these mad people, who scurry around, sing at random, and cry out welcome (112). In this kind of comment, we see an underlying difficulty present throughout but especially apparent in the contrast between Part I and Part II: is it misleading for the critic to read the experimentalists as directly representing the physical and mental pain and chaos experienced during the Cultural Revolution as if they were realist writers, as well as to focus on the language they used to jolt and displace the paradigm of modernity? Can the experimental writers really do both, or does one project undercut the other? Yang finds an affinity between the work of Xu Xiaohe and that of Can Xue, both of whom use Maoist discourse in contexts that are irrational. Communication becomes a nightmare in the work of Can Xue, who seizes “the bitter truth of contemporary China,” which is the triumph of discourse over resistance (143). In Part III, “Irony as Structural Parody: Deconstructing the Grand Narrative,” we see that this emphasis on discourse is deployed by Ma Yuan, who first jars the reader by situating his stories in border regions where Han influence is marginal while carefully avoiding any cultural romanticization, and then questions the grand narrative through self-interruption and self-referentiality. The narrator’s role in the story “Xugou” (Fabrication), for example, is excessively self-conscious: named Ma Yuan, the first-person narrator goes to great lengths to show how the tale has been made up. Ge Fei, who parodies the traditional connection between romantic love and historical duty in his story “Mizhou” (The lost boat), throws into relief not only this narrative pattern from the long-ago past, but also socialist models of love and responsibility, such as Yang Mo’s Qingchun zhi ge (Song of youth). In a similar way, Yu Hua (the only writer included in all three parts of the book) deconstructs the caizi jiaren (usually translated as “scholar and beauty,” but here rendered as “genius-and-beauty”) discourse while simultaneously referring to modern history. In his 1992 Jiuguo (Republic of wine), Mo Yan reflects on the post-1989 disintegration of life and the barbarity of the historical violence, all linked together through the social function of wine. These chapters, which require a good knowledge of twentieth century literature, are well worth a careful read. At a time when many literary scholars are opting for a cultural studies or historical approach that minimizes the role of literature, it is exciting to read a book that resolutely emphasizes fiction and seeks to explain how literature accomplishes its cultural and ideological work. Nonetheless, the literary analysis would have been more compelling had Yang narrowed his scope by focusing on select stories or novels that could more deeply, at the level of style, illustrate a writer’s unique approach to attacking the modernist paradigm. As this review has hinted, questions remain about the theoretical structure and the literary/historical categories under which Yang organizes his work. Yang considers the May Fourth writers and the socialist/revolutionary writers through the Maoist period to be Chinese modernists. At the same time, along with Wang Hui, he finds them antimodern in that they envisioned themselves resisting western modernity (4). However, as I see it, these writers wanted to establish China as a preeminent social, cultural, and economic nation – a fact that seems to contradict the notion that they were antimodern in any way. On the contrary, they hoped to reposition China within a larger global modernity. This modern/antimodern conundrum, which is at the crux of Yang’s argument, points to the difficulty of insightfully analyzing twentieth century culture in a non-western country where intellectuals were aware of social/economic/political modernity in the west, yet imagined that they could become modern in a different way. In order to write, scholars must take not just a theoretical position, but also a spatial position that dictates when and where they will approach their subject in more or less detail. As a scholar gets closer to a work, more and more detail appears; as s/he moves away, detail is lost but a grander, sometimes more theoretical perspective appears. A carefully-chosen spatial position will illuminate an argument, but it also can bring into view the contradictions that a particular argument produces. Yang’s position allows us to visualize a continuum of modernity from May Fourth through Maoist literature. From the perspective he establishes, all cultures with the concept of modernity are the same, and all modern literatures are the same. In the west, he states, Grand History culminated in the Holocaust, and in China, in the Cultural Revolution; both of these events resulted in psychic trauma and a general destruction of human faith in historical truth, the good, and the possibility of a prosperous future. This perspective eliminates a great deal of detail, as there are many differences in the philosophical underpinnings of the May Fourth and Maoist writers. Both Lu Xun and Hao Ran may implicitly believe in subjective rationality and teleological history, but as concerns the nature of the human mind, the relationship between classes, the meaning of the group and the individual, and the force and power of historical change, a close analysis of their writing would show that they differ radically. Yang’s position not only encourages him to ignore such differences, however, but also to displace one of the most important theoretical questions that he should address: how, in the face of a powerful western modernity that pushed outward with its concepts of democracy, human rights, the psychologized individual, the nation-state, free trade and so on, can any other modernity truly have existed? Or was the socialist experiment simply a temporary blip, a failed experiment ultimately to give way to its own demise through the experimentalist writers’ efforts, and to be replaced by a global, postmodern economy and culture? Ultimately, Yang’s approach leaves important questions at both ends of the spectrum unanswered. We can see Yang’s refusal to directly face the consequences of his spatial position in the few sentences he devotes to explaining the xiandai pai writers of the 1930s. Stating that the “ambiguous, decentered narration” these writers expressed made them precursors to the experimentalists, Yang notes that the xiandai pai writers were ejected from the literary canon because the “grand historical narrative” did not have a spot for them (24). It indeed is the case that the xiandai pai writers worked in a relatively small window of time in China, and failed to establish their work as the best suited to create, capture, and express the modern. The reason is clear: they were up against a powerful alternative model that claimed something else was modern, an approach that rejected the stylistic and philosophical model the xiandai paiwriters provided. For Yang, the modern paradigm in China was embodied in realist and revolutionary writing, and challenged and dismantled by the experimentalists. The xiandai pai writers are irrelevant. However, although the influence of the xiandai pai writers was small within China, the question posed by their short-lived presence is actually quite significant, precisely because they put forward the style of western modernism, which was supposed to indicate something crucial about modernity: the consciousness of those living within it, the relationships it supported, the way in which the material world produced meaning, the understanding of “nature,” and so on. And it is this very style of writing, Yang states, that in the hands of the xiandai pai writers is a precursor to the postmodernists who dismantled the modernist paradigm embodied in the realist/revolutionary tradition. Taken a step further, Yang’s organization would seem to imply that Chinese modernism (realist/revolutionary writing) is a temporary malfunction on the larger screen of western literary modernism, which although it could not triumph in the 1930s, came back with a vengeance in the form of the postmodern experimentalists. Like much of the literature on modernity, this study seems driven by a desire for the structure of Chinese modernity/postmodernity to mirror that of the west, regardless of ideological content or stylistic difference. The parallel structure does not hold up under closer examination, but because of his chosen distance from the targets of his analysis, Yang cannot address the contradiction. To more fully understand this dilemma, Yang could have contextualized the experimental writers within their own period and time, relating them to the debates that he outlines in his final chapter: the relationship between modernism and postmodernism, the debate on western theory and Chinese nativism, the relationship between political or economic systems and cultural modernity, and postsocialism. Tacked on at the end as it is, the chapter cannot help a great deal in situating the arguments it addresses, or in showing how the literature is part of these debates. This argument also suffers from an uncritical acceptance of Freudian theory and its categories. But I have raised such objections in many other contexts and don’t wish to repeat myself here. The neglect of style within criticism on Chinese literature is not uncommon, but entails a hefty cost. Because Yang’s argument spans the entire twentieth century and leans on important claims about writing that predates the experimentalists, he should have extended his analysis of style beyond their work as well. If we can simply identify realism and revolutionary writing as modernist within the Chinese context because they represent the historical subject, then the relationship between style and ideology is irrelevant. Without close attention to the relationship between style and ideology, style and meaning, and style and history, the potential of Yang’s argument remains undeveloped. It may seem that I have focused too much on modernism in this review – after all, Yang’s book is about postmodernism. However, Yang’s argument about Chinese postmodernism rests entirely on the modernist edifice he constructs. Without it, postmodernism would have no reason to exist. Yang’s claim that the experimentalists worked hard to tear apart the philosophical foundation of twentieth century Chinese life is reasonable. Lacking a discussion of the long-term influence of the realist/revolutionary tradition, however, we cannot evaluate the significance of the experimentalists. At least one of the experimentalists, Yu Hua, has given up his former style for something more closely resembling realism, and another generation of writers has come along to offer its own versions of postmodern culture, some highly commercialized, others less simply described. Have we now entered a period of global literary culture where style has set meanings – or did we enter it long ago and the Chinese writers, locked in their revolutionary dreams, simply refused to see it?